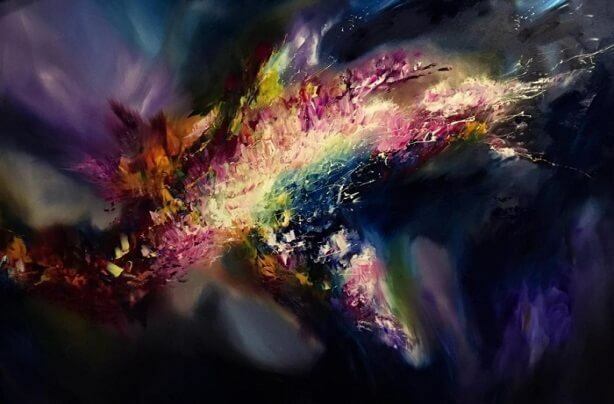 Melissa McCracken is a distinctive visual artist who paints outstanding works of art. Instead of painting what she sees, she paints what she hears. 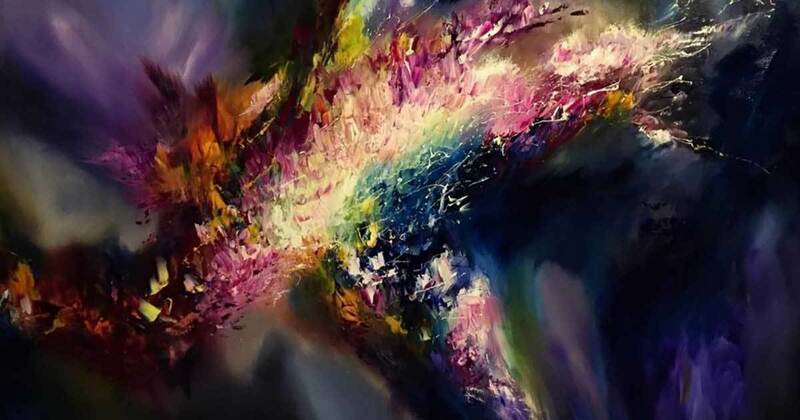 McCracken has a very rare neurological condition also known as synesthesia. Synesthesia is a condition that lets a person see colors whenever they are listening to music. (1) So, the sounds she hears, whether they are from animals or the radio, she can translate them into beautiful vibrant colors. These colors show the beauty of a melody. Moreover, her paintings inspire her to capture the everyday experiences, so that others may understand the brilliance of her abilities. 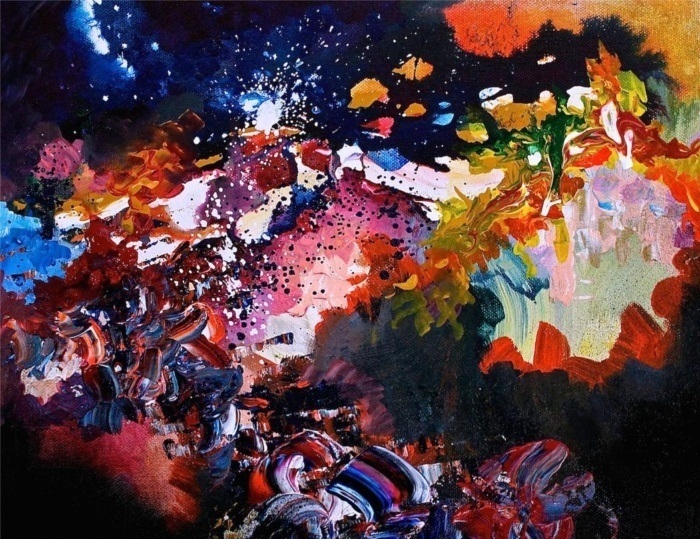 Before McCracken reached the age of 15, she thought that everyone lived in an extremely colorful and dynamic world. 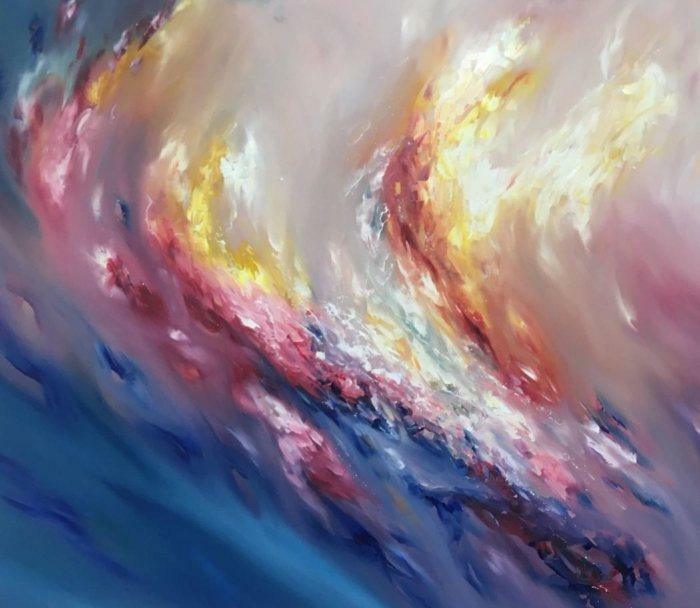 She had synesthesia since birth. 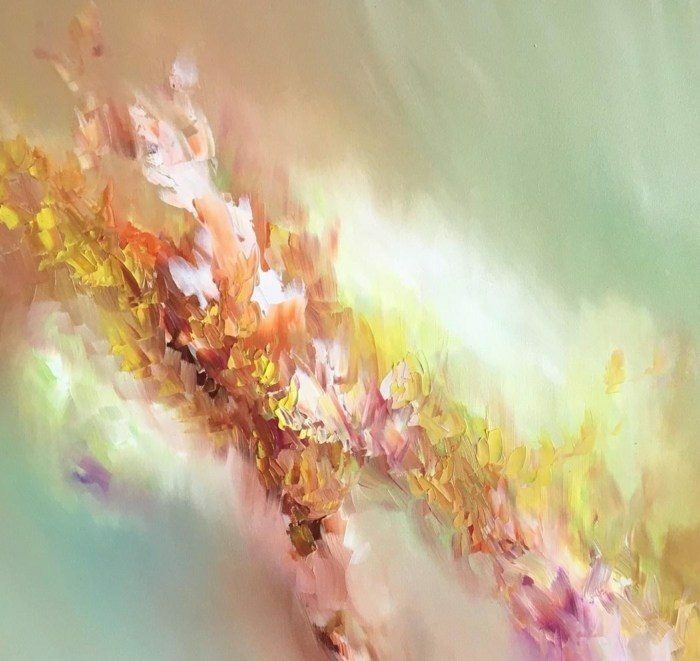 What synesthesia does is make the brain experience different sensations to certain stimuli. Every number and letter has a color, and the days circle around the body as if they have a certain point in space. But, according to McCracken, the most beautiful thing of all is seeing the music you hear. All the mixtures, textures, movements, hues, they simply flow, ever-shifting, ever-changing. 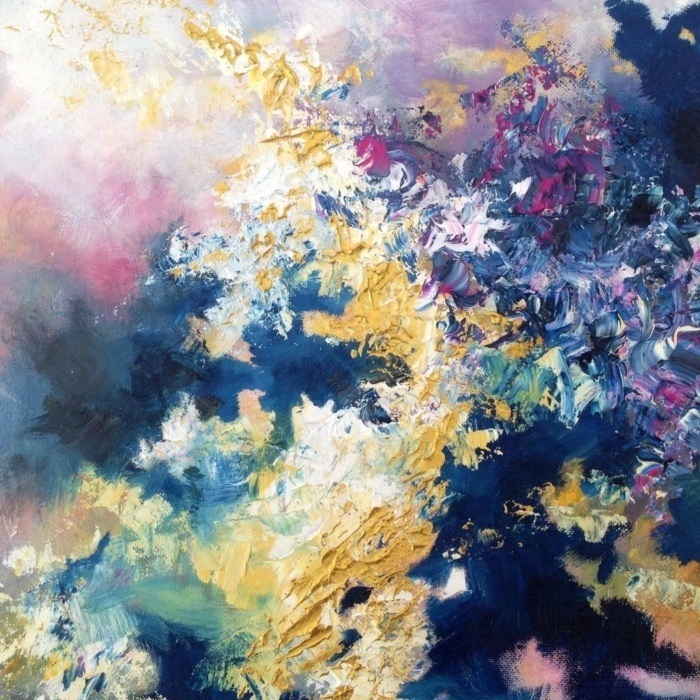 As a result, McCracken decided to express her amazing sight though acrylic and oil paintings. She wanted to show what she can see and hear every day. 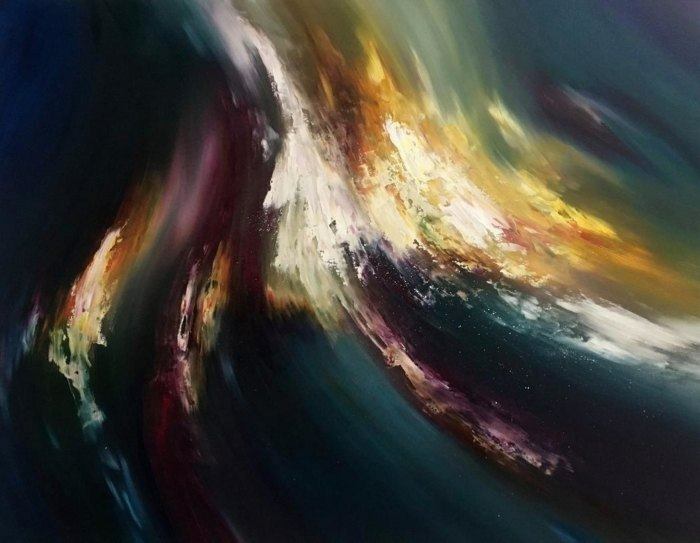 McCracken was inspired by countless songs to create these stunning pieces of art. 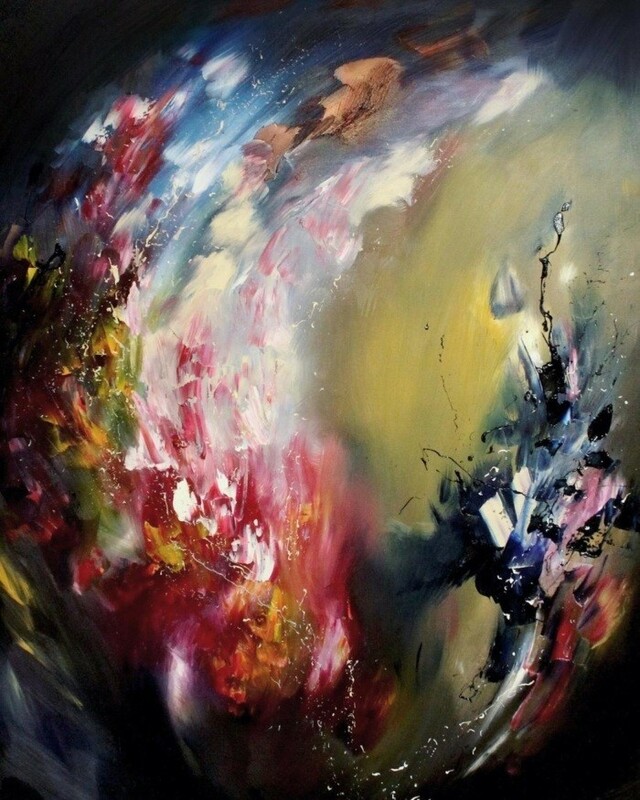 That is why her paintings burst with splashes and textures of polychromatic delight. 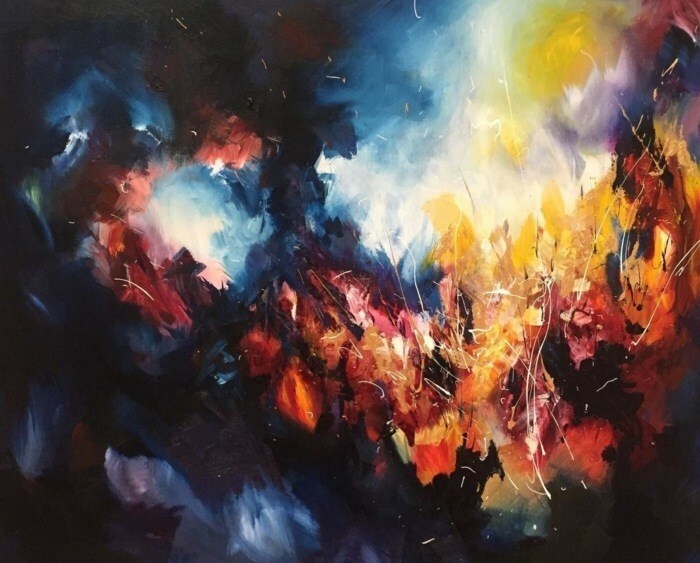 This artist with synesthesia painted these amazing abstract paintings. She received her inspiration from music. Moreover, she doesn’t see her condition as a disability. In fact, she considers it a rare gift. As a result, she tried to savor every moment through her paintings. That is why we wanted to share with you these amazing paintings that McCracken created. Surely, they will inspire you too. Plus, you probably realized that in the title of each picture we write the title of the song she used to paint her masterpiece. Also, this kind of painting takes practice, dedication, and most of all, skill. It is obvious that she is an incredibly skilled painter. No wonder why she makes such stunning art. Do you agree with us? If you want to know more about the songs that inspired her, make sure to write these names on YouTube. Which painting is your favorite? Do you have a special painting that speaks to you the most? Does your favorite song inspire you in a similar way? These paintings are surely something special. But, what makes them so breathtaking is that she took her inspiration from music. Besides, we all listen to music, but we never see it as she does. 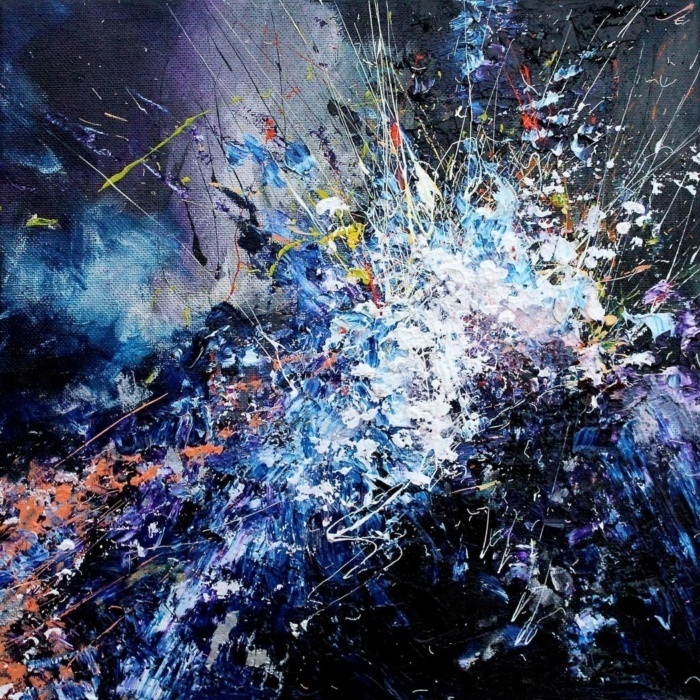 Maybe these paintings might change our perception of music. Maybe we will now see the music in a more different and positive light. Is there a song that inspired you the most? Let us know what you think about these amazing paintings.